Time is a hot commodity for New Yorkers. Finding a physician who can manage your health and your children’s health may help save you some time, so you can spend more of it with your family. 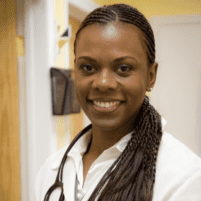 Andrea Perez, DO, at Health Development & Restorative Medicine, PC, serving the Bronx, West Farms, and Parkchester neighborhoods of New York City, is a family medicine physician who provides treatment to the entire family, including children ages 5 and up. Whether for a wellness exam or a sick visit, call today, or schedule an appointment for your child using the online booking button. Dr. Perez is a family medicine physician who spent a number of years training so she could handle the medical needs of an entire family. She can diagnose, treat, and manage any health condition that affects you or your child. Dr. Perez is especially good with her pediatric patients and takes the time necessary to make them feel more comfortable to ease anxiety and fear. What can I expect during a pediatric physical exam? Like you, your child needs a physical exam every year to assess health and growth. Dr. Perez provides a thorough examination that not only evaluates your child’s physical health but mental and emotional health as well. Depending on your child’s age and health needs, she may also request a urine and blood test. During the annual visit, she will update immunizations to help protect your child from preventable diseases and talk to you about your child’s health and how to maintain or improve wellness. The annual physical is also a good time for you and Dr. Perez to discuss concerns you may have about your child’s health that may include what’s happening at school or at home. Dr. Perez can evaluate your child and provide treatment to alleviate symptoms or cure the condition. Do teens need a special healthcare provider? Your teen doesn’t need to see a special healthcare provider. Dr. Perez has a unique ability that allows her to connect to teens, which helps establish trust and an open doctor-patient relationship. For your teen daughter, Dr. Perez can perform a gynecological exam to assess reproductive health. For expert pediatric medical care from a caring physician who connects well with children and teens, call Health Development & Restorative Medicine, PC, or schedule an appointment online.